Microchip Corporation manufactured a series of microcontroller chips named as â€œperipheral interface controllerâ€ or simply called as PIC (also called programmable interface controller). Microchip Corporation also provides a trademark for the name PIC . The term â€œPICâ€ is normally used to describe the micro controllers developed by Microchip Corporation. Before we discuss more about PIC, you need to know the basics about microprocessors and microcontrollers. 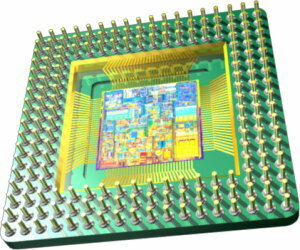 A microprocessor is a programmable multipurpose-multitasking logic chip that fabricated by LSI, VLSI or other higher manufacturing techniques. The first microprocessor developed by the INTEL corporation in 1971 (INTEL-4004), which was only a 4 bit microprocessor .A microprocessor can accept input dataâ€™s inÂ binary forms, read binary instructions, perform data processing and provide desired output. In a modern computer system, the microprocessor is usually referred to as CPU (central processing unit). A microprocessor is basically classified by its word length (word length represented by the number of bits, that is, 4bit, 8bit, 16bit, 32bit, 64bits are normally used for micro processors). The basic block diagram of a microprocessor and a microprocessor based computer system is given below. ALU is one of the basic units of a microprocessor. All the computing functions are maintained in this unit. As the name shows, the ALU can perform all the arithmetic operations (+,-,*,/,%,etc) and all logical operations (AND, OR, NOT, XOR, etc). Control unit is another important part of a microprocessor. The CPUâ€™s control unit coordinates and times the CPUâ€™s functions, and it uses the program counter to locate and retrieve the next instruction from memory. Another purpose of control unit is, controlling the data flow between microprocessor and peripheral devices/peripheral chips. Registers are the important section of microprocessor chip. Registers are primarily used to store the data temporarily during the execution/runtime of the program. A microprocessor contains several kinds of registers that can be classified according to the instructions provided to the processor. These instructions are called instruction sets. The registers are basically 8bit, 16bit or 32 bit according to the type. Registers can easily accessible to the user by using various commands (instructions). Some registers are used to store address of memory locations that can be easily accessed by the microprocessor. As in the name shows, memory are used to store the information (data&instructios) as in the binary form. According to this binary informationâ€™s, a microprocessor perform its operation during the execution period. A microprocessor can read the information from memory and perform the corresponding operations in its ALU. The result of each operation stored in a memory or given to any output unit associated with the system. The data stored in the memory can be use further use. But some memories used in a computer system are temporary memories or instantaneously fed to the any peripheral units. These type data canâ€™t be store in computer memory for later use. The memory unit of a microprocessor computer system consist of two types of memories. They are Read Only Memory (simply called as ROM) and Random Access Memory (simply called as RAM). Read-only memory is one of the computer memories. ROM memory is used to store items that the computer needs to execute when it is first turned on. For example, the ROM memory on a PC contains a basic set of instructions, called the basic input-output system (BIOS). The PC uses BIOS to start up the operating system. BIOS is stored on computer chips in a way that causes the information to remain even when power is turned off.ROM is a non-volatile memory. The program stored in ROM can only read. Random access memory is the other type of internal memory .RAM also called main memory because it is the primary memory that the CPU uses when processing information. The electronic circuits used to construct this main internal RAM can be classified as dynamic RAM (DRAM), synchronized dynamic RAM (SDRAM), or static RAM (SRAM).This memory is used to store user programs and dataâ€™s temporarily. RAM is a volatile memory. A bus is the set of hardware lines or circuit lines which help the communication between the processor and other input/output units. A system bus is a flat cable with numerous parallel wires. Each wire can carry one bit, so the bus can transmit many bits along the cable at the same time. For example, a 16-bit bus, with 16 parallel wires, allows the simultaneous transmission of 16 bits (2 bytes) of information from one component to another. The system bus basically classified into three groups . 3)Â Â Â Address bus. 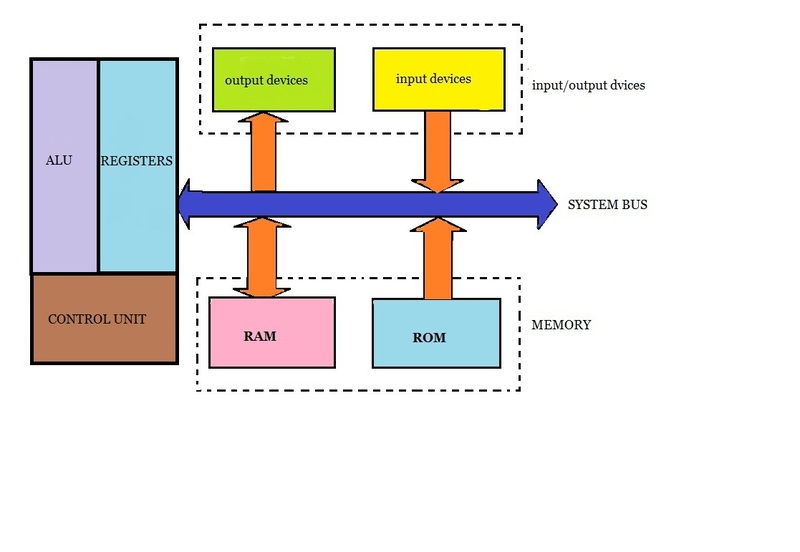 A control bus is a bi-directional bus which is used to transfer the control signals (read, write, interrupt) and timing signals(clock pulses) between microprocessor and other peripheral components. Data bus is also a bi-directional bus that used to transmit data bi-directionally between the microprocessor and peripherals devices. Address bus is a unidirectional bus which is used to send the address of a peripheral from microprocessor to the peripheral device. To know more about PIC and also the basics of a Microcontroller, click on the link below. Very informative. If you don’t mind, can you share to me about how to make PIC16f877a operate on vero board. Thanks.